The Rocky Mountain Barn is the biggest converted barn on the Estate. With space for up to 300 guests for a sit down dinner, this magnificent venue is perfect for any event with a large guest list. 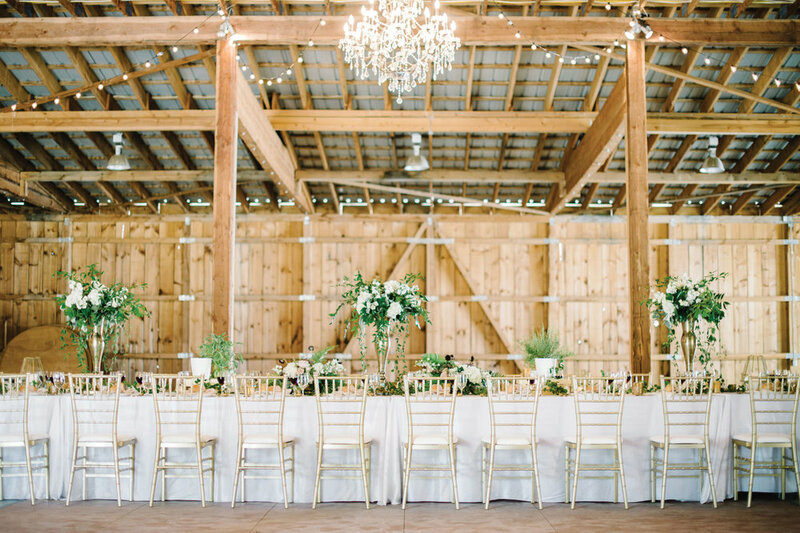 Elegant chandeliers hang in the centre of the barn, adding elegance to the rustic charm. The large space is flexible and can be set up with a stage for bands or entertainment. Look no further for the region’s largest and most unique event venue! The Buggy Barn’s Purcell Hall is designed for small to medium sized events. Enter through two large barn doors and be charmed by the beautiful chandelier hanging in the center of the room. Enjoy the beauty of the large exposed beams and original barn wood walls. With seating space for up to 90 guests, this converted space offers a rustic elegance with all the amenities.